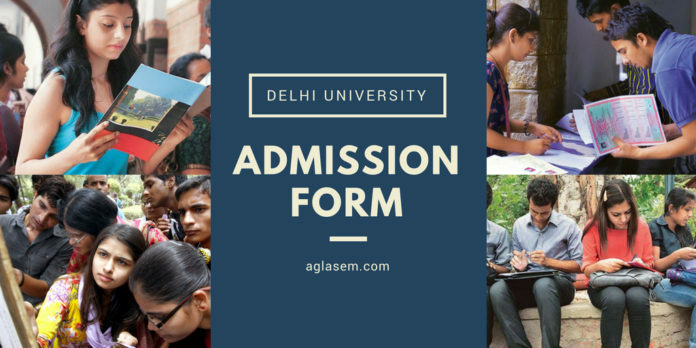 DU Admission Form 2019 is going to be released by the University of Delhi in the month of May 2019. 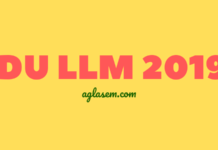 The aspirants can fill DU Admission Form 2019 online at du.ac.in. The DU Application Form 2019 is released for UG, PG, MPhil / PhD courses. No offline application form shall be released for the students. The aspirants need to pay Rs. 150 for UG registration, and Rs. 500 for PG registration. To apply for DU Admission 2019-20, the aspirants need to register first and then proceed to fill in details in the Application Form. DU also conducts an Open day session in which information about registration, admission process, the schedule is provided. 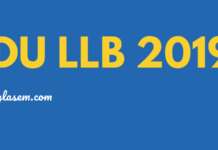 The candidates can check more details on the DU 2019 Application Form from this page. The candidates are offered admission to the University of Delhi in two ways – Merit-Based and Entrance exam based. The registration will be common for both. The candidates can check the expected schedule for DU Application Form 2019 from the table below. Mode of Payment – The aspirants need to pay the application fee for DU Admission 2019 by Online mode using Credit Card/ Debit Card/ Net Banking. It is suggested to the applicants to keep these standard documents ready before filling the online Application Form. The aspirants need to upload the scanned image of their passport size photograph and signature in the DU Application Form 2019. The images are to be uploaded as per the specification given below. How to fill DU Application Form 2019? In order to register and submit the DU Admission Form 2019, simply follow the instructions which are given below. Click on the direct link which is going to be provided on this page for DU Admission 2019. Next, the aspirants need to register online by entering their Name, Date of Birth, Category, Gender, Nationality, CW category, Minority category, Select the University attended for Qualifying Exam, Mother/Father/Guardian’s Name. You will also have to provide your Email ID and Create a password for DU Admission Login. On entering all the necessary information in the registration form, click on the “Register” button. In the next screen, the candidates need to click on the link “Click here to save this information for future reference” which is a file, “Registration Detail.pdf” that can be saved in the applicant’s local device. After this, a confirmation mail is sent to the candidate’s registered email id and mobile number. Now, to proceed to the next step, the aspirants need to visit the UG Admission portal home page by clicking on the link, “Continue to homepage” on the left side of the screen. Once the candidates have successfully registered, they need to log in to the DU Admission portal of their respective course. To log in, you need to enter your registered email id and password. Click on the Log in button to submit the details. After you have logged in, you must read the declaration and accept it before starting the online registration process by clicking “Continue”. The application form is divided into eight tabs which are – Personal Details, Bank Details, Academic Details, Merit based Course Selection, Entrance based Course Selection, Sportband Emails, ECA. Name of the Candidate – This field is automatically filled in as per the details submitted at the time of registration. Email ID – This field is also automatically filled in as per the details submitted at the time of registration. Mobile Number – Though the candidates had to give their mobile number in the registration form, however, they can also update it if they wish to. Date of Birth – You need to provide your DOB as it appears on the applicant’s class 10th certificate. Aadhaar Card Number – Enter your aadhaar number, if it is available. Mother ‘s Name and Citizenship – This is a mandatory field to be filled by the candidate. Once you have entered all the necessary Personal Details, click on the “Submit” button and then click on the “Next” tab. In this section, the candidates need to provide their Bank details for the refund of fee in case of cancellation of admission. You shall have to enter your bank account number and IFSC and other important details. Class 10th Roll Number – After you have selected the name of the Board, you will have to enter your roll number as it is provided on the Class 10th Admit Card. Result Status – Choose the result status from the drop-down menu. In this section, you will have to select any number of courses (where admission is based on merit) based on the eligibility criteria. You can select as much as much courses as you wish to apply for. In this section, the candidates need to select any number of courses(where admission is based on entrance) based on the fulfillment of the eligibility criteria. In this section, if a candidate want to be considered for admission through Sports Quota need to select “Yes” option. If the candidate has selected Yes, then he/she need to choose the Game/Sport. The applicant can either apply for another game/sport by clicking on “Add another game/sport” or else proceed to the next section by clicking “Next”. If a candidate wishes to take admission through “ECA” quota, then select “Yes”. Under ECA there are various categories, which are further sub-categorized. The applicants need to select their relevant category/sub-category and shall upload only the highest level of certificate. Click on the “Submit” button to proceed to the next ECA category by clicking on “Add another activity” or else proceed to the next section by clicking “Next”. Note: The aspirants need to pay an additional fee of Rs. 100 for each Game/Sport to apply under Sports Quota and ECA quota. After you have entered all the necessary information in the DU Admission Forn, you will have to upload the necessary relevant images. The images are to be uploaded as per the specifications given. After you have uploaded the mandatory uploads, go to the “Next” section. Next, the candidates need to pay the required amount of the Application Fee. Choose the mode of payment and pay the necessary application fee. The online registration process shall be completed only after payment is done. The candidates can apply for DU Admission on the basis of Sports and ECA (Extra Co-Curricular Quota). Such candidates need to produce certificate if they want it. You can only apply for these quotas before submitting the application fee. During the merit allocation, the credit obtained by the candidate in sports and ECA quota will be considered. Click here to check the Guidelines for ECA Trials (Preliminary Round). How can I register myself for admission to undergraduate courses at the University of Delhi? You can register online for all undergraduate courses through the admission portal URL http://admission.du.ac.in & follow the guidelines to proceed. I have registered online at the DU undergraduate (UG) online portal. Do I still need to fill up the offline form for undergraduate admission? No, there’s no offline form. Can I apply for multiple programmes/courses in an online form? Yes, you may select all programmes/courses of your interest through a single online registration form. It is important to note that you can apply in all merit-based as well as entrance based courses through the same online application. Is it possible to change/update the information provided by the applicant in the online application form, once the fee is submitted? I made an error in my online registration form. Do I need to register again using different email-id? No, the portal allows you to register only once. However, you can rectify the error by logging again into your account through the “Edit” button at the end of each session/page till the online registration portal is open & the fee is not paid. How to pay the registration fee on DU UG Portal? The payment is accepted online only through credit card/debit card/Net Banking/UPI. How does one apply through the ECA or Sports quota? Is there a separate fee for applying to these quotas? You can apply for ECA and Sports quota by selecting appropriate options in the registration form. There is an additional fee of Rs. 100 each for applying under ECA or Sports Quota. Is it possible to apply under ECA/Sports Category once I have paid my registration fee? No, once you have paid the fee, you will not be able to apply under ECA/Sports Category. Why am I not able to preview my application and also not able to pay the fee? Completed the mandatory fields (marked with the red asterisk) on every page. No, there is no disadvantage for gap year students and they would be treated at par with regular students. They should meet the requisite criteria for admission and must possess the necessary documents/certificates. Will the applicants be given admission on a first come, first serve policy after the declaration of cut-offs? Admissions in the colleges are not based on first come first serve policy. Instead, the applicant who has filled the online registration form and satisfies the criteria and cut-off for a particular programme/course in a particular college will be considered for admission as per the schedule of admission specified. I did not have Mathematics in class 12th. Can I opt for B.A (H) Economics / B.Com (H)/ BMS/BBA(FIA)/ BA (H) Business Economics? No, without Mathematics, you are not eligible for above courses. Can I take admission in two different courses or same course in different colleges after the declaration of a cutoff? I have completed my class 12thfrom NIOS (National Institute of Open Schooling). Can I get admission in a regular college? Yes, you can get admission in a regular college provided you have applied in an available programme/course and meet the cut-off criteria. Is it important to have caste or tribe certificate in the name of a candidate/applicant? Yes, if you are applying under any reserved category (SC/ST/OBC/PwD), then you must have the latest Caste/Tribe/PwD certificate in the name of the candidate. The OBC certificate must also specify that candidate belong s to non-creamy layer and the caste is listed in the Central Government list. If my result is awaited, Can I submit the online registration form? 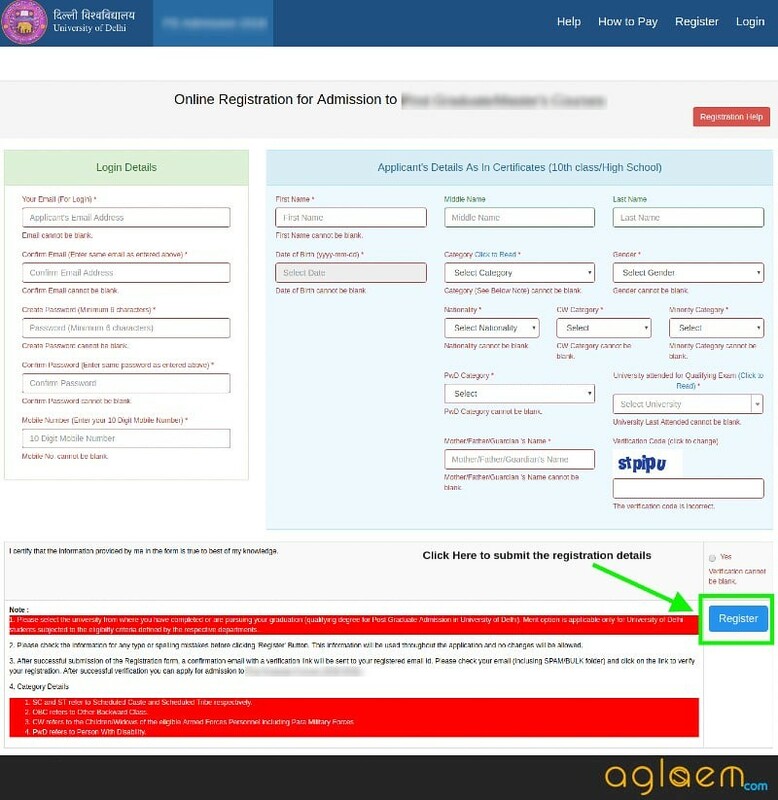 Yes, you can submit the online registration form by choosing “Awaited” in the drop-down menu of “Result Status” on “Academic Details” page/section while entering the information. However, you will have to fulfill the minimum eligibility criteria/meeting cut-off list of that course/college during the stipulated period. sir, will there be cutoff for SOL admissions in du or a single required percentage is required FOR ELIGIBILITY. As there are variant eligibility criteria for different courses but on the overall basis you should have secured atleast 40% for SOL admissions in Delhi University. hi Tarun,as there are variant eligibility criteria for different courses but on the overall basis you should have secured atleast 40% for SOL admissions in Delhi University. @AVNI You may select all programmes/courses of your interest through a single online registration form. It is important to note that you can apply in all merit-based as well as entrance based courses through the same online application. Yes but It is important to note that you can apply in all merit-based as well as entrance based courses through the “same online application”. Can i fill for another course in submitted form or i have to fill separately by same details? is the entrance based exam online or offline? Hi Sachin, Are you applying for UG course or PG course. cafe man made a mistake, he added ‘Chattisgarh board of secondary education’ instead of “Central board of secondary education” now how could i make correction of it !? hey Bhavika no now you can’t cancel your application form now. Sir I have scored 57% (3 main sub+english) in class 12th from medical (PCB) am i applicable for seeking admission in BA(hons) political science in any of the colleges in DU university? Hello! I have given DUET- 2018 for M.Sc Biochemistry which was scheduled on 21st June 2018. DU notifications claim to have uploaded answer keys of all the entrance exams, however answer key for MSc Biochemistry has not been uploaded yet. Kindly provide a suitabe solution.